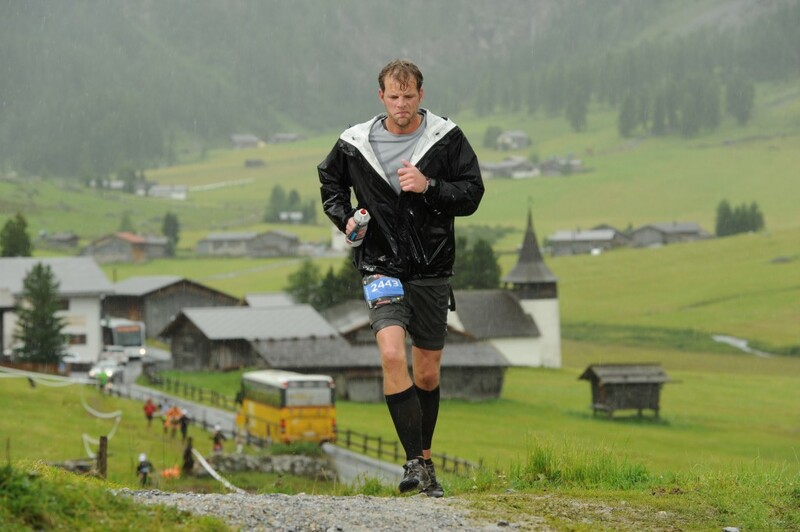 I just ran the Swiss Alpine marathon. It was one of the most beautiful races I’ve ever done. Hands down. It also took me way longer than any other marathon I’ve ever done – almost two hours longer. I’ll have a full race report this thursday, but it was intense brutal – just take a look at my face here. About 21km of the race took place in high alpine territory and we climbed two major summits (Keschhuttes at 2632m & and Sertigpass at 2739m (8635ft and 8986ft respectively). The climbs were much harder than any trails I’ve run in San Diego and the runs down were much more technical than I’d anticipated them being so around mile 20, my legs felt more like they had been through an ultra than just mile 20 of a marathon. I was on the tail end of the highest marathon in Europe. I had climbed 6036ft (1840m). We had reached 8986ft (2739m) in elevation. We were running through rivers, muddy slip ‘n’ slides downhill, rock slides, and snow. Blah blah blah. I’m allowed to be tired, right? But I kept getting passed. And then I got pissed. On the spot, I decided to make up a game to change all that. I called it the Hit List and it started working immediately. The Hit List is designed for the last 5k of races, especially during longer distance or adventure races, where most people are sapped and have a good excuse for walking or taking it slow at the end. Instead of letting that happen to you, you use the Hit List to finish faster and leave it all out on the table. Here’s how it works. It uses a simple points system. Every time you pass someone, you get 1 point. Every time someone passes you, you lose 2 points. See how many points you can get in the last 5k. At 5k, I decided to just see what my legs could do and haul it in as fast as I could. As a result, my final score was 14. I passed 18 people and was passed twice. I made this game up on the spot, but I was actually pretty amazed at how well it worked. At the end of longer distance races, everyone is shattered. It’s easy to see other people going slower and let their body language color how you feel. But the Hit List made me focus on running my own race rather than getting distracted by what anyone else was doing. Instead of seeing people walking a section of road or ugly hill, and convincing myself I should save energy, I thought to myself, “there are three people walking. That’s three points. Targets acquired. Let’s go.” and I got a new burst of energy. The great part about this is that, with only 5k left, you can run pretty hard and you’re going to finish the race. There’s virtually no chance of you not finishing, and you’re not going to be able to run the same race again for at least another year, so why not put it all out on the table and be spent? For the next long race you have – give it a shot and see if it helps keep you pushing that last 5k. – Look at the ground about 6-8 feet in front of you. Often when exhausted at the end of the race, I catch my head leaning back which carries my posture back which leads to me fighting my body form the rest of the way. Looking down and a little ahead keeps from posture forward. – To get a good kick or boost to your step, make sure your toe is pointing straight down on each kick back. This gets me out of my “zombie stroll” and somewhat propels me back into proper form. I like it. Simple, but it will keep the mind on the job. I am running the Brisbane Marathon on Sunday, I will try it out. I go with the “one more” strategy where I just pick the next person in front of me and pick them off then the next person, then the next person and so on. I’m no where near your distances but even at my shorter distances it makes for picking up my speed. Great job with the race! Sounds like a really cool one, maybe I’ll try it someday. I did do a 10K last weekend and I tried this game in my head– seemed to work well! In cross country in high school we did something similar, where an assistant coach would be at the 2 mile mark (races were 3 miles) and write down our place. Then we’d compare to our final place and get little rewards if we had improved.